By guest blogger, Mary Moreno. The loss of life is always tragic, though sometimes necessary and unavoidable. The loss of a young life when completely unnecessary and completely avoidable is about as tragic as it gets. Sergio Adrian Hernandez Güereca, 15, was a high school student in Juarez, the border town directly across the river from El Paso, the youngest child in a family of 5 and a good student. On Monday, Sergio was shot and killed by a U.S. Border Patrol agent who thought it was appropriate to respond to rocks thrown at him by shooting his gun several times at a group of kids where the rocks were coming from. Sergio was shot in the head. The agent was not injured. 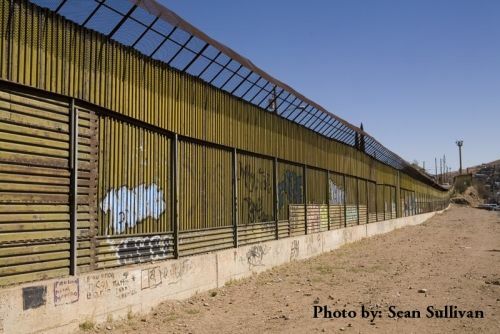 According to various news sources Sergio and a group of teens had tried to cross the border at a dry aqueduct adjacent to the international bridge. The teens were spotted by the Border Patrol, which was really inevitable considering the sheer quantity of agents guarding our border. The agents chased the kids and managed to capture two. The others continued running to the Mexican side of the border. From there, they threw rocks at the agents. The teens were playing a kind of “cat-and-mouse game,” said Bobbie McDow, 52, a U.S. national who said she witnessed the shooting from the middle of the bridge where she was standing. The teenagers, Ms. McDow said, appeared to be trying to make it to the U.S. side and quickly back to Mexico without being caught by officials, a pattern that Ms. McDow said she has noticed. Ms. McDow’s husband, Raul Flores, 52, a Mexican national, also said he witnessed the incident. Mr. Flores said the teenager who was shot had stepped out from behind a pillar on the Mexican side of the border with his hands in the air. The agent and the teenager “had four seconds to look at each other” before the young man was shot, first in the shoulder and then in the head, he said. The details provided by these witnesses are incredibly disturbing. In what world is ok to respond to a group of teenagers throwing rocks by shooting indiscriminately into that group not knowing who your target is, not knowing if your bullet will strike an innocent? Hernandez was found 20 feet (six meters) into Mexico, and an autopsy revealed that the fatal shot was fired at a relatively close range, according to Arturo Sandoval, a spokesman for the Chihuahua state attorney general’s office. Mexican authorities said a .40 caliber shell casing was found near the body, suggesting that the Border Patrol agent might have crossed into Mexico to shoot the boy. In my previous career, I spent 7 years on the cop beat in Texas, including more than two spent on the border where I also covered Border Patrol. One of the most maddening aspects of reporting on any federal agency is the inaccessibility to information. If this had been done by a local police officer, we would by now at least know his name and some of the officer’s history. With Border Patrol, it might be a long while before the details of this death are known. Nothing about this story makes sense, and everything about it makes me nauseous. Why would a trained officer shoot a gun at a group of people? Why would a trained officer not know how to diffuse rock throwers without resorting to deadly force? The El Paso area is flooded with immigration agents. Why not call for back up? Even if the worst allegations made against this boy were true – that he was trying to cross illegally, that he threw rocks at the agent – none justify the result. I would like to know the history of this Border Patrol agent. Is he one of the recent hires, hires made during a historic expansion of Border Patrol? Was he properly vetted and trained? Or was this vetting and training process compromised by the need to rush bodies to the border to quash unfounded fears about border violence? Recently, I had a conversation with a staffer of a border congressman about the 1,200 National Guard troops President Obama is trying to deploy to the border. This congressman’s office had applauded the move. I asked the staffer why they had approved of it when the border already has some of the lowest crime rates in the country and is saturated with border agents. The staffer said it couldn’t hurt. This incident shows that it can and will hurt. If Border Patrol agents who are trained to keep a border brimming with civilian and business traffic flowing and safe, what kind of response will we get from soldiers who are trained to kill? “This shooting across the border appears to have been a grossly disproportionate response and flies in the face of international standards which compel police to use firearms only as a last resort, in response to an immediate, deadly threat that cannot be contained through lesser means,” said Susan Lee, Americas director at Amnesty International, in a statement Wednesday on the organization’s website. “We want also for Border Patrol to clarify what are the protocols for use of lethal force against immigrants, but more than anything we’re asking for justice and accountability on this incident,” said Fernando Garcia with the Border Network for Human Rights. Of course the tweeter at the union has a habit of making glib comments about very serious life-and-death incidents. About the man border agents tasered to death, he tweeted: “He had meth in his system and chose to fight an agent. In the BP you don’t get one bean you get the whole burrito!” Wow. Racist much? Nothing can be done to bring Sergio back, but we should take this opportunity to reexamine how we patrol the border and the use of lethal force. Preventing future deaths would help us heal from this tragedy. Today the Associated Press announced that 500 miles of the Southwest Border Wall have been completed. I’m glad to know that since our economy is floundering, immigrants are being murdered and people are sick of the same approach to this issue, our government is continuing to pour millions of dollar – oh I’m sorry, that should say billions – into a project that is sure to do nothing. Isn’t it time for a sensible approach to immigration? Can’t we find something less archaic and and costly than building a giant wall on one of our borders? I mean, COME ON. Ok – that’s my rant. Right now NPR is running an interesting series on the US-Mexico Border – the tagline is “Examining a Relationship in Flux”. The border is just a line. In the past it used to be a strand of barbed wire and some signs in the Arizona desert. Now it has become a barrier that’s harder and harder to cross. And being on one side of that barrier or another can dramatically affect your safety, your wealth and your opportunities. 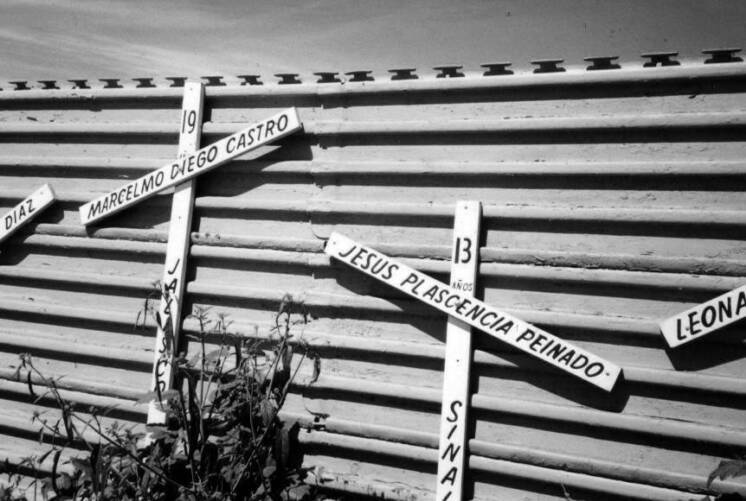 In this series, NPR explores the border from Tijuana to the Texas coast. And most of the 2,000-mile frontier is infused with tension. Some of that tension comes from poverty. Some comes from the drug gangs. Some comes from the new fence and the Border Patrol agents in armored SUVs. Be sure to visit NPR to check out the series. The U.S.-Mexico Border and Immigration Taskforce held a summit in Washington, DC yesterday. At the summit, the task force released their latest report titled “Effective Border Policy: Security, Responsibility and Human Rights“. The great thing about this task force is that it is bringing together all stakeholders in the formation and articulation of immigration policy – from border community members, to local law enforcement, faith leaders, local elected officials, businesses and, of course, immigrant advocacy groups. This is truly a multi-faceted coalition, representing a sensible and effective approach to border policy. Latina Lista has a great post, detailing the recommendations made by the task force and lauding the group as a new and powerful approach to border policy. 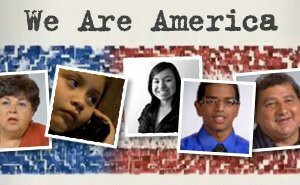 Perhaps the most revolutionary recommendation to emerge from the task force, and one that is long overdue, is the fact that these leaders represent a new attitude in border community leaders who are tired of the disrespect, dismissal and expectation of Washington for these communities to roll over and comply with policies mandated from DC that directly impact their quality of life — social, business and binational relationships — without including them in the decision-making process. With the country’s economy in a tailspin and an unprecented bailout for financial institutions being debated by lawmakers, the Department of Homeland Security quietly signed contracts to complete the border wall on Monday. The border wall, which is over-budget and behind schedule, required $400 million extra in Congress-appropriated money to fund its completion. You heard me, $400 million EXTRA. As the Rio Grande Valley is moved one step closer to having a border wall slice through its communities, one wonders how the United States can justify begininning to spend $400 million on a border wall which is clearly unpopular when our banks are declaring bankruptcy, millions are foreclosing, the War drags on, and the dollar falls in relation to oil prices. I pray these actions and these contracts are forestalled long enough for a new administration to realize the lack of logic in building a border wall while neglecting immigration reform and for the country to finally hear the cries of these border towns in the way.